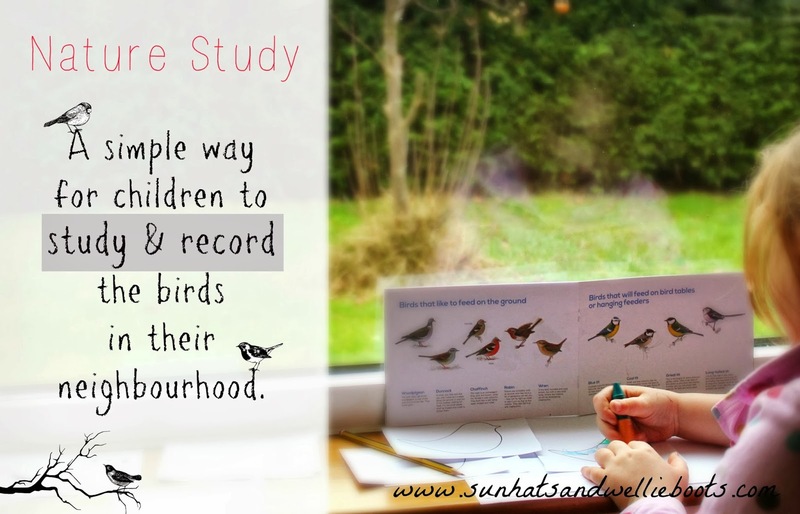 Encouraging children of all ages to pause for a moment & notice the birds in their neighbourhood is an easy way to connect with nature. 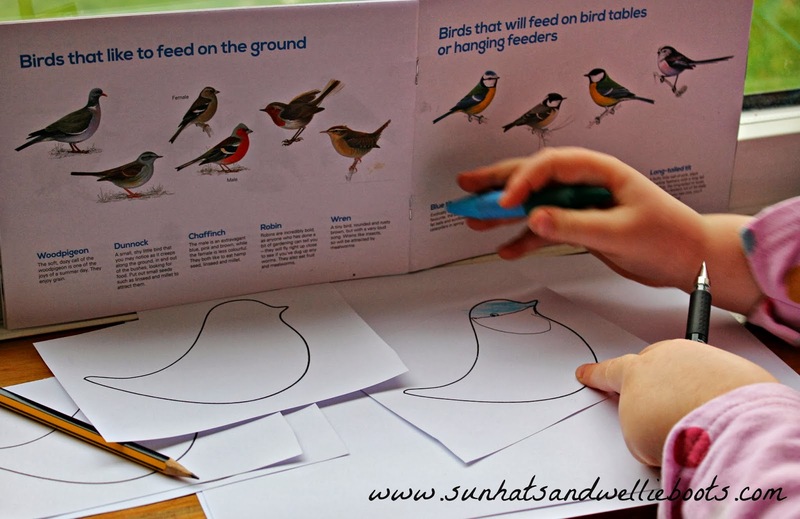 The following activity is a simple way for young children to observe the birds & record their findings quickly. 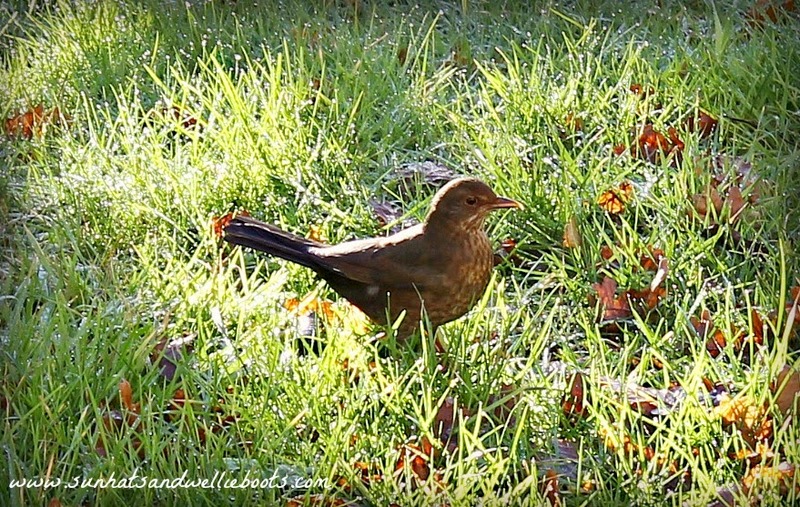 The other weekend we enjoyed taking some time out to observe the wildlife in our garden with the Big Garden Birdwatch organised by the RSPB. Not only did this enable Minnie to recognise & appreciate the birds we share our outdoor space with, but this calming activity produced some great artwork too. We started by setting up an indoor viewing area where we could clearly observe the birds in our garden. 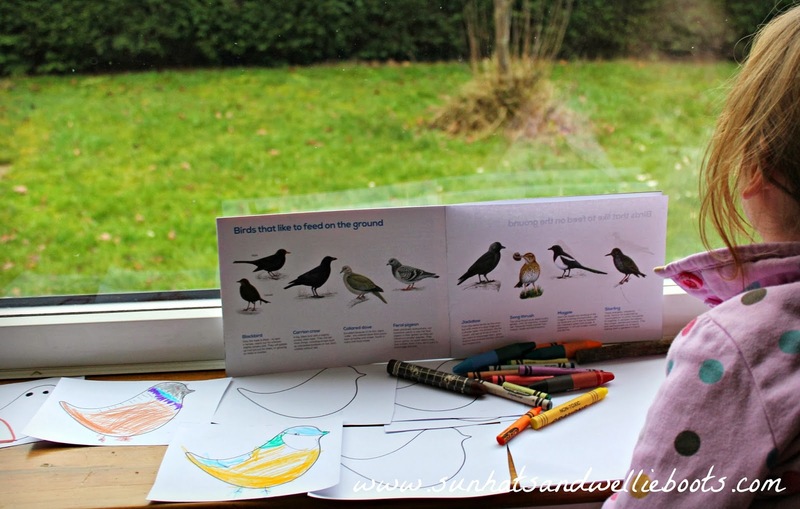 The Big Garden Birdwatch booklet offered clear illustrations of garden birds & was a great guide for my young ornithologist. 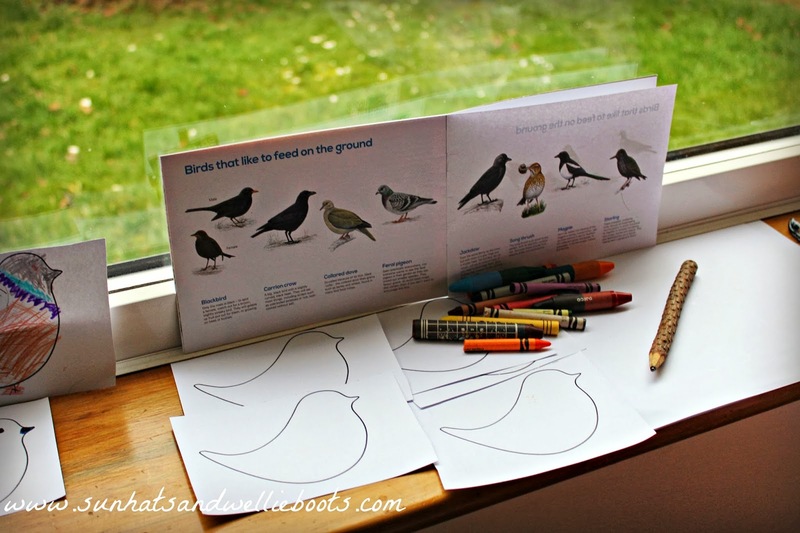 Alongside our guide we added some plain paper, pencils, crayons & our bird templates. 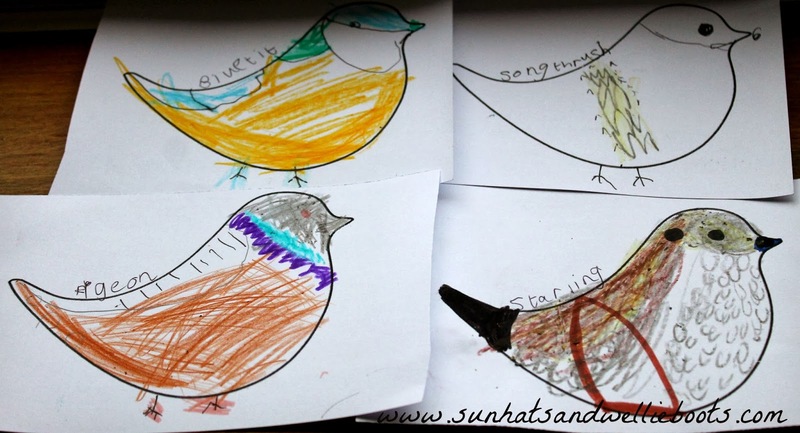 These simple bird templates enabled Minnie to focus on the colour & patterns of the birds. 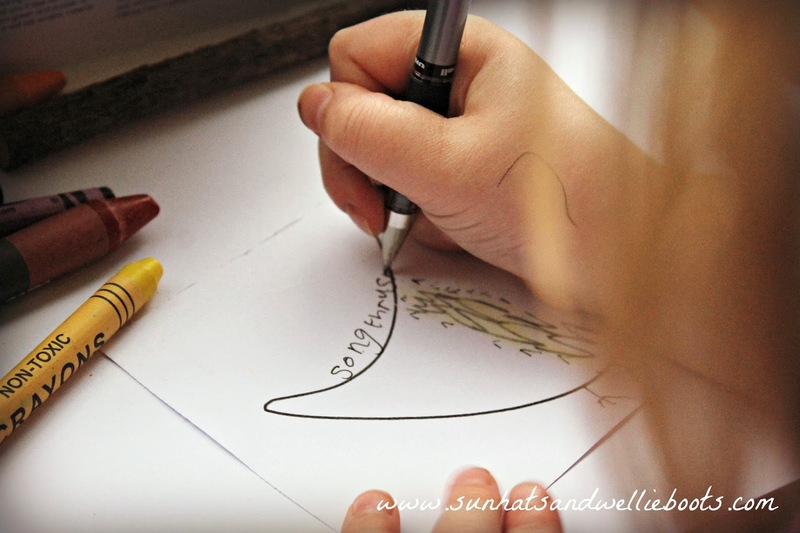 She did sketch some birds she spotted, but most of her observations were recorded on the templates. Obviously the birds were different shapes & sizes & we discussed the variations, but by using the basic templates she could record in great detail all she had noticed within a short space of time. After sitting fairly still by the window for a few minutes her patience was rewarded when the birds started to fly by. After a quick check with the booklet Minnie was able to independently identify the different birds. As most of the birds only visited the garden briefly it was difficult to observe all their detail in such a short space of time, but the illustrations in the booklet offered a useful reference. By using these Minnie was able to identify the colours & patterns & add these to her bird templates. When she had finished recording her findings she labelled each bird, using the booklet text to help her. She loved being able to identify the birds independently & telling me what they all were. Being able to copy the text from the book to the relevant bird also encouraged her self-esteem & she was so proud when she had finished recording each bird. She was totally engaged with this activity & it was wonderful to see just how calming it was & the creativity it produced. I also loved observing the independent learning & self-confidence it encouraged too. This was one of the simplest activities I've ever set up, but it produced so much learning, & discovery. Since this activity she's been offering different types of seed & food to the birds in our garden to see which they prefer, & eagerly observing & identifying the birds as they visit. More templates have been created & her findings have sparked even more creativity. 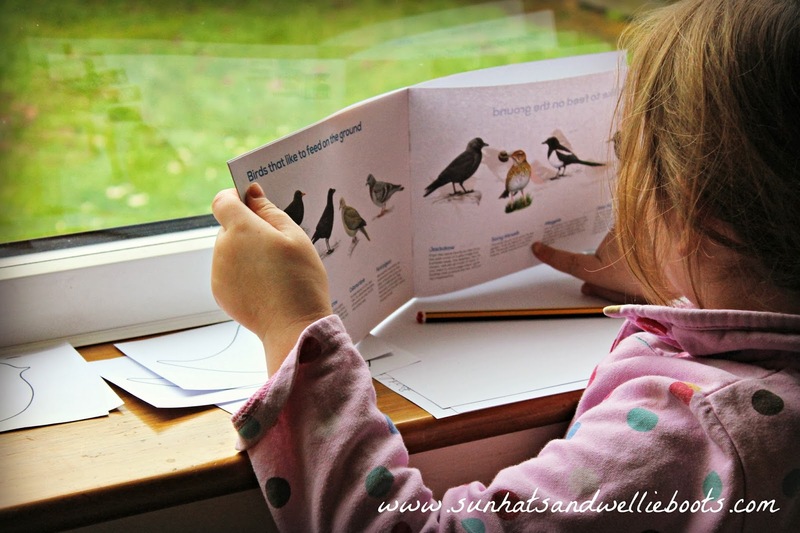 If you're looking for bird guidebooks for children here are a few which may be helpful. You might also like to check out The RSPB Kids site which has some great resources & activities for children.